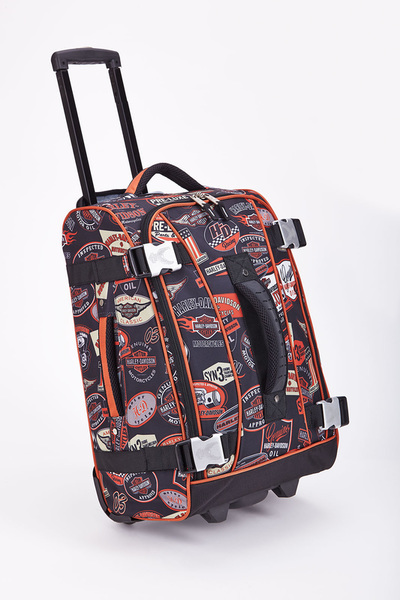 Add a touch of rugged style to your next travel adventure with this cool Harley Davidson roller bag. The Harley Davidson by Athalon 21" Hybrid Luggage is made from polyester fabric and features a sporty look with contrast color accents and trim, a Harley Davidson logo on the front, a telescoping pull handle, and in-line skate wheels that make it easy to maneuver. 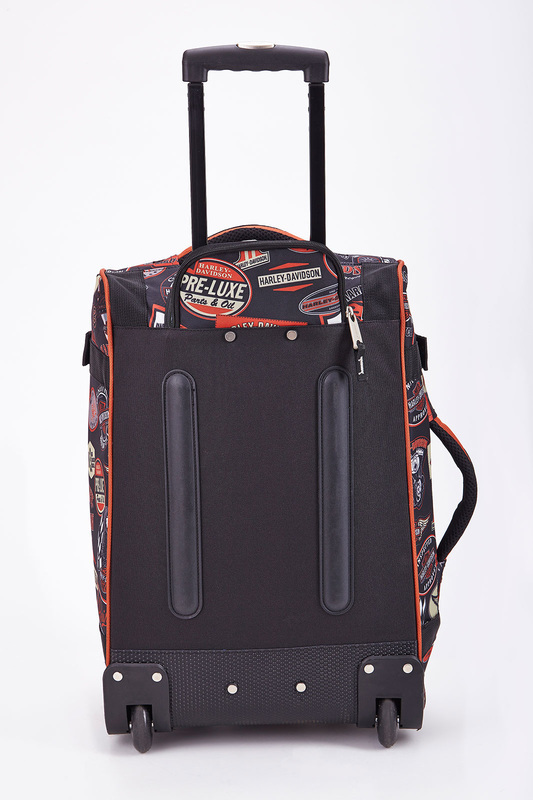 Accented with top, front, and side grab handles, this roller bag has a wide zippered opening with a map print fabric lining, compression straps to hold garments in place, and a zippered mesh pocket to hold delicate items or small accessories. Weight: 7 lbs., 11 oz.